The International Entrepreneurs Association - Youth Chapter (IEA Youth Chapter) is the youth wing network platform established under the flagship of International Entrepreneurs Association, United Kingdom that advocates the culture of entrepreneurship around the world. Other than that, IEA YC engages and empowers youth to enhance their contribution in nation development process, social transformation with the participation of young people, government and stakeholders. IEA Youth Chapter is a platform of opportunities tailored to specifically suit the needs of innovating, aspiring and cultivating ‘Young Entrepreneurship Spirit’ among Youths and Students who are eager to discover more experience and knowledge about the business world. Aimed with its prospects to provide practical experiences and programs which are deemed beneficial towards the upbringing or more innovative and creative entrepreneurs among youths, the IEA Youth Chapter is founded strongly to support ‘Experience-based’ education, outside from the formal tertiary education of colleges and higher-learning institutions. The IEA-UK Youth Chapter intends to create high volume of young entrepreneurs with the energized entrepreneur spirit by giving the awareness to the youth about the opportunities involvement through IEA-UK. . We cultivate a brand new generation of young women and men to make a change to the world that they would like see. By doing so, they inspire others to follow. We believe that participating young people are visionary thinkers, change agents and catalyst for global consensus building. Working hand-in-hand and closely with IEA Adult Chapter, the IEA Youth Chapter would be striving on its goals to not only establish a networking forum for young entrepreneurs and leaders among Youths, but also to provide an avenue of support and a proper platform for students seeking knowledge or experiences, which can be provided by IEA regarding job placements or exposures to the world of business. With the energizing entrepreneurship spirit by giving the awareness to the youths about the various opportunities and platform for students and youths to manage projects, events, functions, or any occasion in the real business world and society so that IEA Youth Chapter is well furnish variety of skills and talents. Besides than networking for fresh graduate, students, and those who intent to be a small business owner after they completed their formal education, IEA Youth Chapter is aiming on its long-term to develop and navigate external projects outside of its college campus, preferably in ‘Joint-Ventures’ and ‘Collaborations’ with other business or educational institutions which may be linked to IEA worldwide. By organizing projects under the aegis of IEA, UK, the youths and students are well in position to learn and grasp the way in organizing projects. 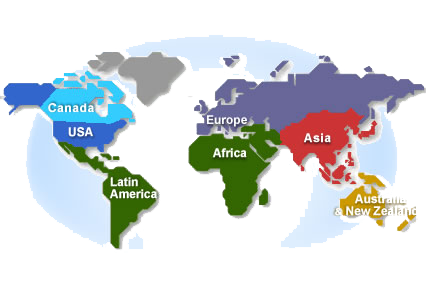 It is also aligned with the latest trend of Information System and globalization long term planning. Nevertheless, we aim for creating transformative experience with strong value proposition to every aspect for providing high quality services for the stakeholders in future. Although IEA-UK Youth Chapter is still fresh, but we able to lays down a strong foundation to create extraordinary results and develop more young entrepreneurs.